MSLGroup owner Publicis has reported organic revenue growth of 2.8 per cent in the first half of 2016, buoyed by particularly strong growth in Europe, as the group says it "should not be heavily impacted" by Brexit. Overall revenue, including acquisitions, rose 4.6 per cent to €4.75bn (£3.97bn, $5.24bn) in the period. Net income grew five per cent to €381m (£318m, $420m) and operating margin rose 5.1 per cent to €619m (£517m, $683m). Publicis did not break down results for the PR business. Organic growth was 2.7 per cent in Q2, buoyed by the growth of digital activities (5.1 per cent), which it said helped to "significantly mitigate" the impact of the loss of media accounts. Growth was strongest in Europe, where organic revenue (which excludes acquisitions) grew 5.5 per cent in the half-year to €1.35bn (£1.13bn, $1.49bn), accelerating to 7.3 per cent in Q2. Highlights included Germany and Italy, where H1 organic growth was around nine per cent, and France (five per cent). The UK was "much improved" - organic revenue growth of 7.4 per cent in Q2 lifted H1 growth to 3.6 per cent. However, growth in Russia slowed to 4.6 per cent in H1 after growth of 9.4 per cent in the first quarter. In North America, organic revenue growth was -0.1 per cent in Q2, leaving overall organic growth for the half-year at 1.4 per cent, to €2.62bn (£2.19bn, $2.89bn). 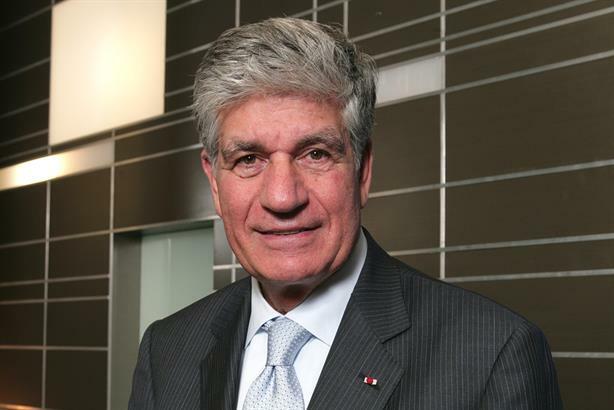 Publicis chairman and CEO Maurice Lévy said losses in its media business last year "had a very serious impact on the US because it was mainly losses in the US market". Organic revenue growth in Asia Pacific was 4.7 per cent across the half-year, to €503m (£420m, $555m), after growth of 5.5 per cent in Q2. In Latin America, growth accelerated to 4.8 per cent in the second quarter, leaving H1 revenue growth at 0.9 per cent (€152m, £127m, $168m). Revenue in the Middle East & Africa was €129m (£108m, $142m) in H1, a decline of 0.5 per cent on an organic basis. Lévy said the first half-year "has ended very satisfactorily", although he said he expected a slowdown in Q3 as client losses last year would have the greatest impact in that period. "After this particularly active and productive first half-year, we expect the third quarter to be more difficult due to the full impact of the account losses of 2015, though this should not jeopardise the upward trend of all the group’s indicators over the full year 2016." Levy said geopolitical factors such as the recent failed coup in Turkey, the attack in Nice and the Brexit vote in the UK created "uncertainties" in economic terms, although he stated: "We feel extremely comfortable." Levy added: "We should not be heavily impacted from the Brexit, since we operate in the UK in local currency, as we do in all the countries in which we have operations. We remain very confident about reaching our 2018 objectives, and believe that we will start to see and feel the benefits of our transformation more fully as of 2017." In December, Publicis announced that it would restructure into four "solutions hubs", with PR business MSLGroup becoming part of the Publicis Communications hub, led by Arthur Sadoun. Levy said today: "This initiative was very well received by our clients as it is original, modern and, most importantly, it is a comprehensive solution to the challenges they face. We are beginning to reap the benefits of this new approach." Publicis’ revenue in 2015 was €9.6bn (£7.6bn, $10.9bn), with MSLGroup's estimated revenue in the period of around €400-440m (£316-348m, $450-500m) making up four or five per cent of the total. Click here to read MSLGroup’s profile in PRWeek’s Global Agency Business Report 2016.